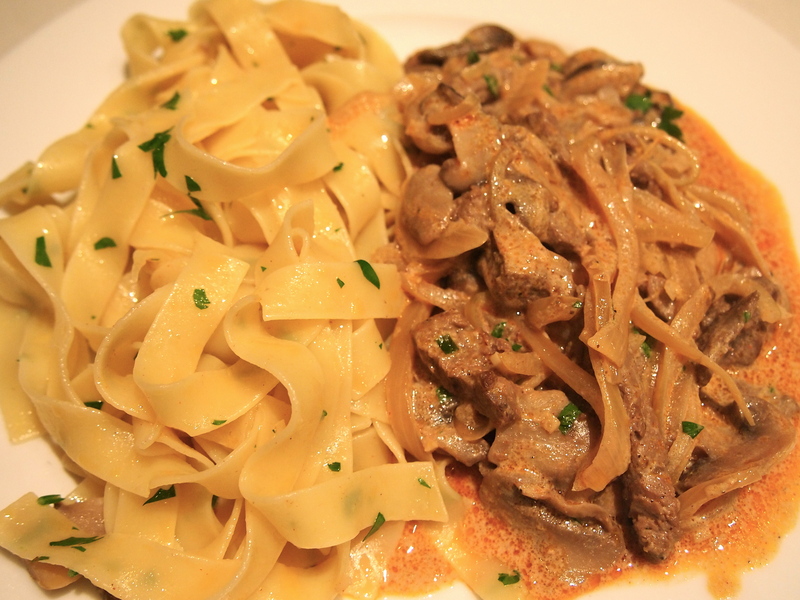 Beef Stroganoff has been around a long time, and by long, I mean since the 1890’s. The dish originated in Russia but quickly became popular in the West, especially in the 1970’s when it was a dinner party standard. It seems to have gone out of fashion since then which is a shame because it’s a delicious and fast meal to prepare. 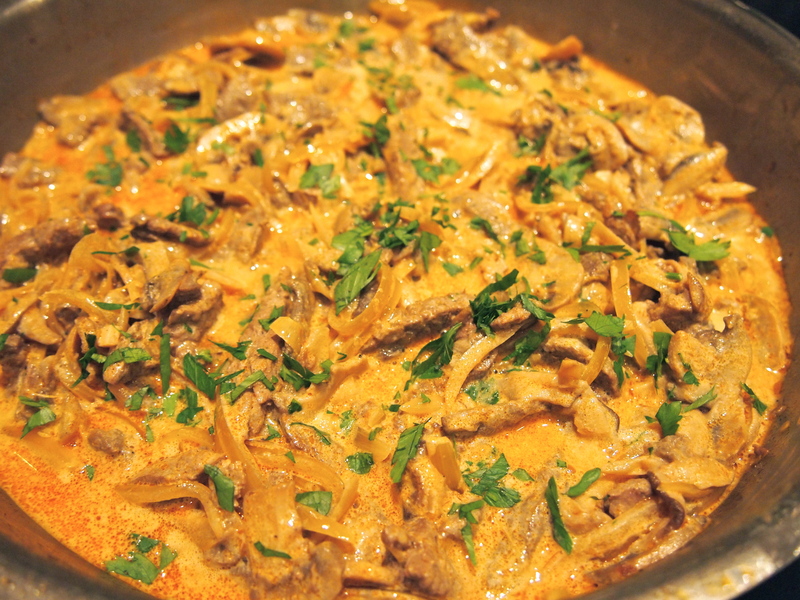 I grew up eating a lot of Stroganoff as my mother is part Russian. My mother uses lamb fillets instead of beef as it was more readily available in Iran where she spent much of her life – she still uses lamb fillets (and an astonishing amount of cream!) and serves the Stroganoff in the very traditional and classic way which is with thinly cut French fries. This combination isn’t actually as strange as you’d think; the tender beef in the creamy sauce being a great contrast to the crispy potatoes. Over the years the recipe for beef Stroganoff has been really messed about, with everything from red peppers to wine being added into the mix. 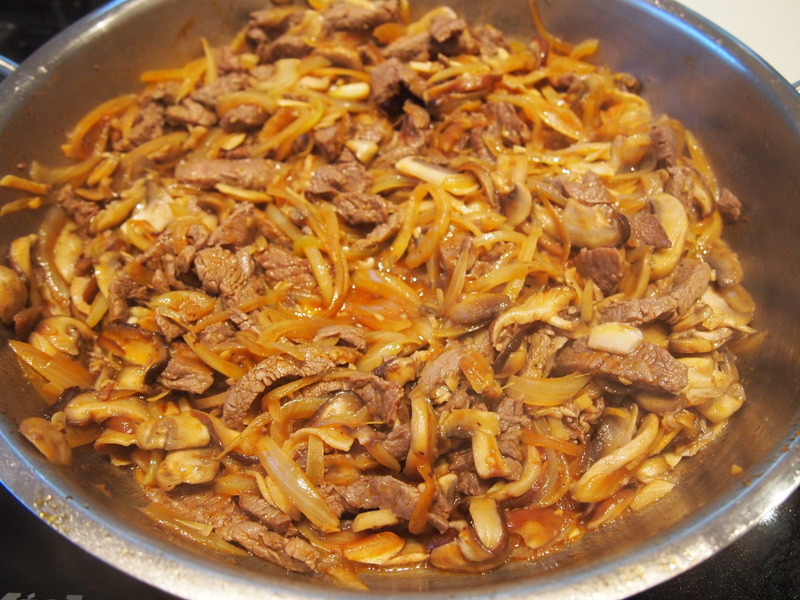 But the original recipe is perfect in it’s simplicity; onions, beef, paprika, mushrooms and sour cream – that’s it, nothing more and nothing less is required. I serve my Stroganoff with buttered fettucini which strictly speaking isn’t authentic but after the addition of the sour cream it feels far too decadent to pair it with French fries. Whatever you decide to serve your Stroganoff with, be it rice, pasta or French fries, it’ll be delicious and a dish worthy of bringing back into fashion. 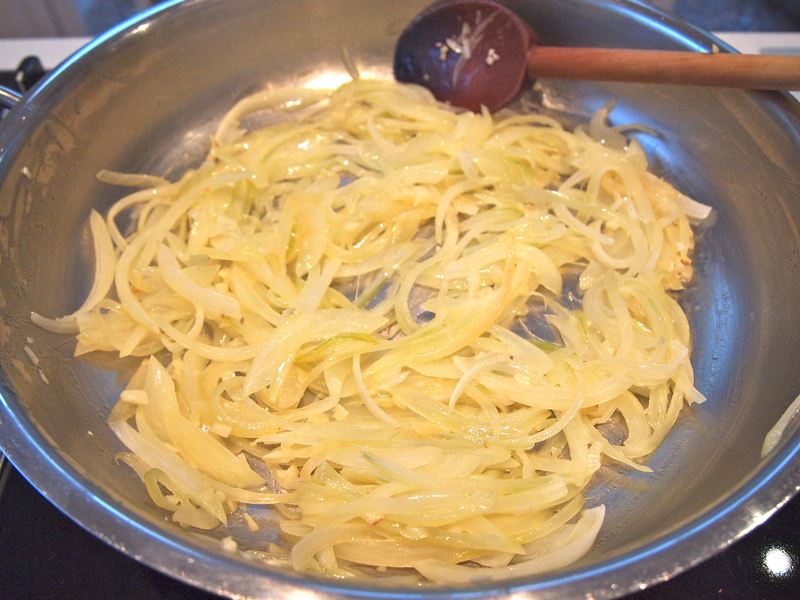 Heat a third of the butter in a medium size skillet or frypan and when melted add the onions and a pinch of salt. Cook on medium low heat for about 10 minutes until the onions are soft, being careful to not get any colour on them. I find it helps to add a couple of tablespoons of water to the onions as the steam aids in getting them soft and wilted without having to add more oil. Just keep stirring and cooking until the water has evaporated and the onions are cooking only in the oil again. Add the paprika and stir to combine and cook for a couple of minutes more. 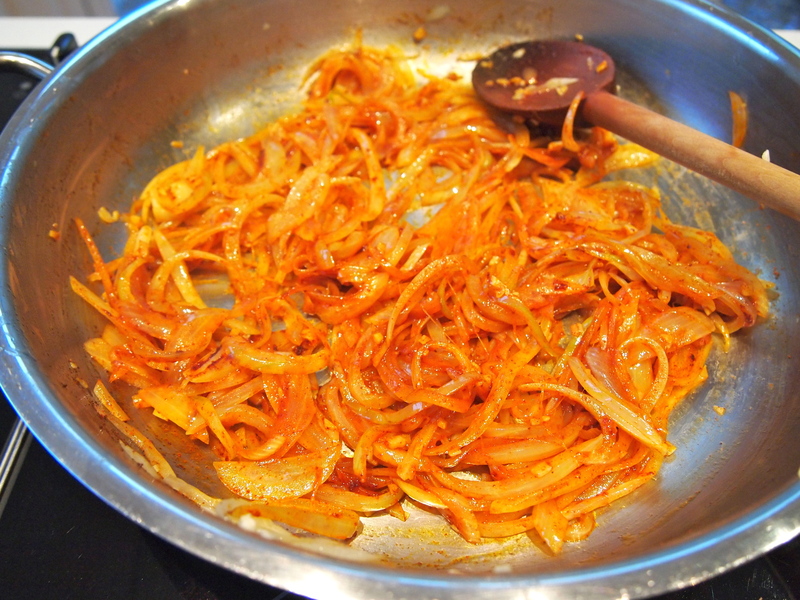 Remove the onions to a bowl and set aside. To the same pan add half the remaining butter and the mushrooms. Cook stirring occasionally until the mushrooms have softened and just starting to brown. Season with salt and pepper and remove from the pan and set aside with the onions. Heat the remaining butter in the frypan along with the olive oil. 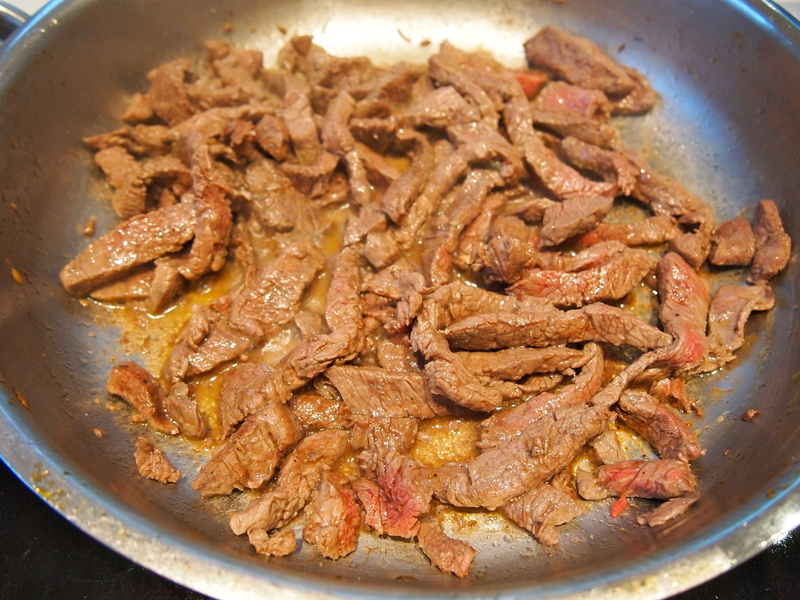 Turn the heat up and add the beef slices. Cook over high heat stirring the meat around every now and then until the meat has seared and changed colour. Be careful to not overcook the meat at this stage, you just want a slight bit of colour but not to have the beef cooked all the way through. Season the beef with salt and a generous amount of black pepper. 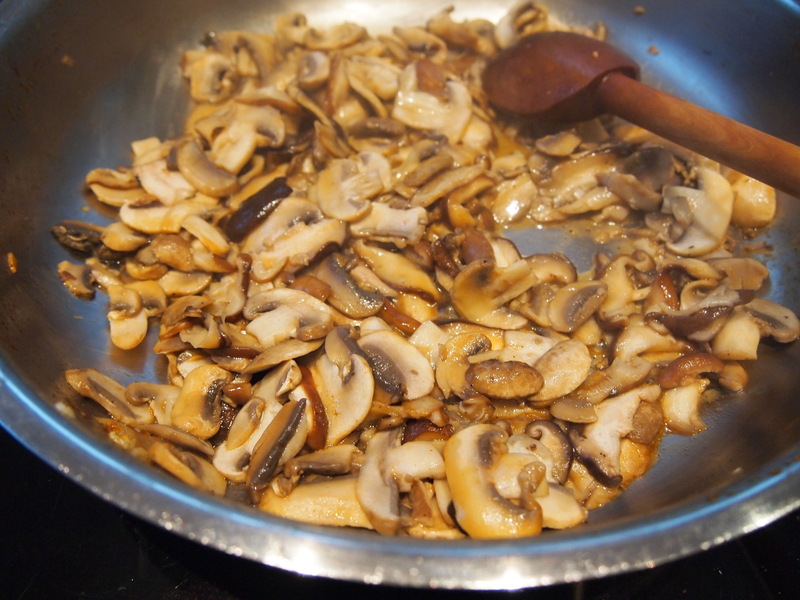 Return the onions and mushrooms to the pan and stir to combine. Add the sour cream and bring to a simmer. Cover the pan and cook on low heat for 5 minutes. By this stage the meat will be just cooked through and very tender. If the sauce has thickened too much and you want it to be slightly runnier add a small splash of boiling water and mix well. 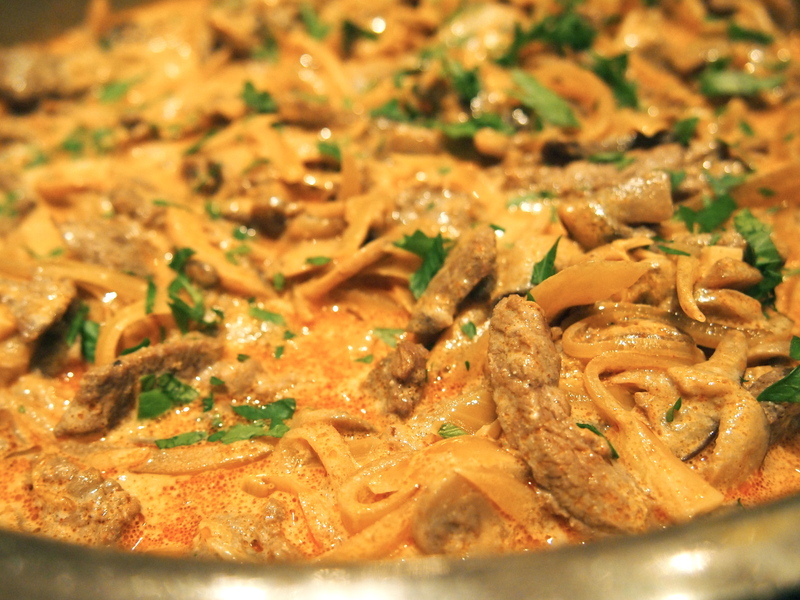 Sprinkle the stroganoff with the chopped parsley and serve with pasta, rice or French fries. A good midweek dinner – I am going to try it tomorrow. I have made this dish 3 times in the last 2 weeks, it is so simple and absolutely delicious. I had tried many beef stroganoffs before however they all seemed to lack something, this recipe is just perfect and extremely tasty. My whole family loved it and it takes no time to prepare and cook!!! Sounds like a fabulous evening! Hope you enjoy the Stroganoff.